The sound card interface which I am using is only one port. It cannot switch over to other radio. 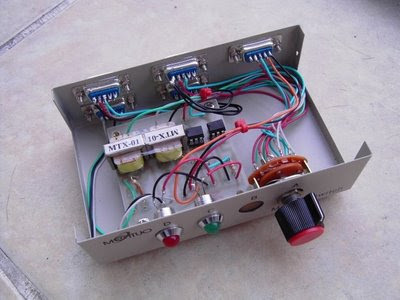 So I make another one last week by using one surplus RS232 DB9 switch box, save a lot of drilling time. 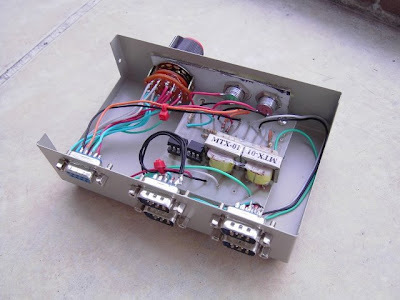 It is connect to FT-2000 with SSTV and RTTY FSK, FT-920 RTTY FSK. It work great so far. Recently I have installed a “FTP Widget” program in my work station, it will automatically posting received images from my SSTV software (MMSSTV) to the remote host, while I am QRV and or stand-by on the frequency, mostly on 14.230 MHz. 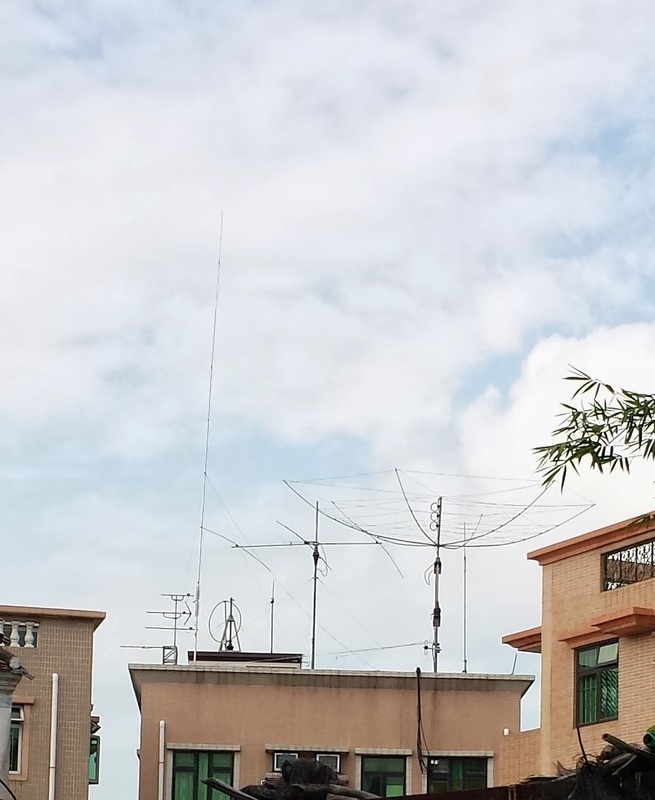 This way the image is sent to the web page in the best resolution and create real time for amateurs sending pictures to see how well their pictures are being received from my station in Hong Kong. Although not spent much time in the contest, but still have plenty of fun. Also, have this nice certificate, which received yesterday. 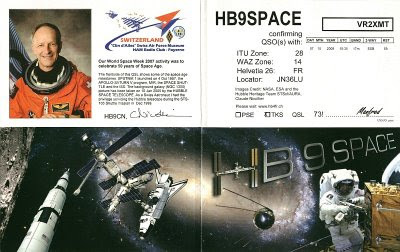 Very nice QSL card received direct yesterday. 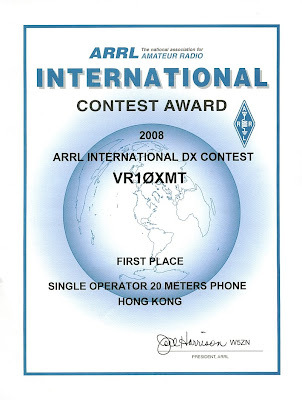 ARRL International DX contest 2008 Award. 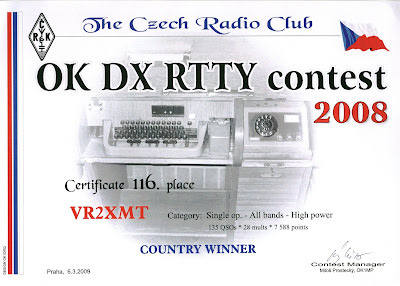 I am the only VR2 participate , so no question - first place. I have carried out the firmware upgrade during the Easter holiday The new version FW 1.46 and EDSP 11.50, called "PEP" from Yaesu. The performance is outstanding, which is highly recommended. Of course, look forward to have more new upgrade and enhancement again. It was a very quiet afternoon and nothing to do, configured the MMSSTV program and made some QSO through SSTV on 20M. Condition not really good, but acceptable. Here are some pictures.